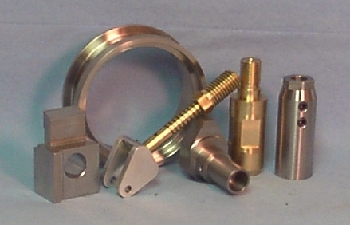 PT&T Precise Machining is a CNC Job Shop specializing in quick turnaround, precision short run production, and prototype machining. We also have the ability and equipment for your higher volume jobs. Our staff has more than 70 combined years of manufacturing experience in the aerospace, medical, automotive, and industrial fields. Our lean manufacturing methods help us to achieve short lead times and competitive pricing. One of our company's primary goals is to maintain close contact with our customers, which we believe will ensure success. For information on our Precision Toolholder Bushings, please click on the Bushings tab above.